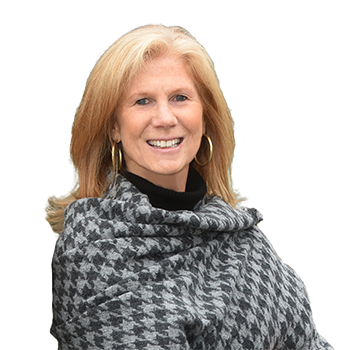 Peggy Richardson began her real estate career at a small boutique firm in Georgetown in 1988. She worked in DC for three years, including a stint in another boutique firm on Capitol Hill until she put real estate on hold when she, her husband and her two sons moved to Baltimore in 1994. When their last child was born, they moved back to the DC area to Country Club Hills in Arlington, VA. There she has raised her five children, volunteered in the public schools, taught pre-schoolers and worked in her community. Peggy returned to her real estate career when her last child went to middle school. In her first year back she was Rookie of the Year Nationwide for a large real estate firm. Her passion for the industry has helped her to continue to become the successful Realtor she is today. In 2016 Richardson joined Washington Fine Properties. She prides herself in her interest in her clients, love of houses, hard work, negotiating skills, determination and tenacity. When not working, Peggy enjoys spending time with her family at home, traveling to see her children in Charleston, Nashville and the University of the South, being very involved in her community and spending time with her friends.